Sakes alive, it’s been ages since I officially reviewed a book! More than three years, actually. Pourquoi? I started to explain, but I’ve decided it doesn’t matter! I do want to write about books, but I don’t have time to wax philosophical, and you may well not have time to read such blither-blather either. Hence — The Two-Minute Book Review. I’m excited about this concept. First book that came to mind that I’ve read in the past three years is actually NOT from Book Club, but no matter. Other works: Daring Greatly, Rising Strong, and I Thought It Was Just Me, etc., as well as several TED Talks (my first exposure was this wonderful talk, which I looked up after reading about Brené on Momastery. Recommended by: My hairdresser, who had just come to a place in her life where she was feeling truly happy with herself in her life. She glowed with it. Main characters: Brené, her many unnamed research subjects, her family, and especially you, the reader. Opinions: My hairdresser found it really helped her to be happy with herself and thus to move forward with her goals. She was hoping to convince her husband to read it, because he was feeling stuck in a place of insecurity on many fronts. (I’ll need to get a haircut for an update.) Personally, I found it to be an interesting, comforting, thought-provoking read. Not a difficult or jargon-y book whatsoever. Brené is a professional researcher, and she’s also a very human human. A quotation I liked: “The dark does not destroy the light; it defines it. It’s our fear of the dark that casts our joy into the shadows.” I really, really relate to this statement. What sticks with me: The concept of living “whole-heartedly,” with all the things you and your heart are together, including the painful parts and the vulnerability to let them be seen. Also the statistics that indicate that one of the factors associated with happiness and contentment is belief in something greater/larger than ourselves, whether it be God or love or global connectedness or something else altogether. Recommended to: Anyone struggling with self-acceptance, anyone wishing to be forgiven, anyone beating themselves up about stuff too often. 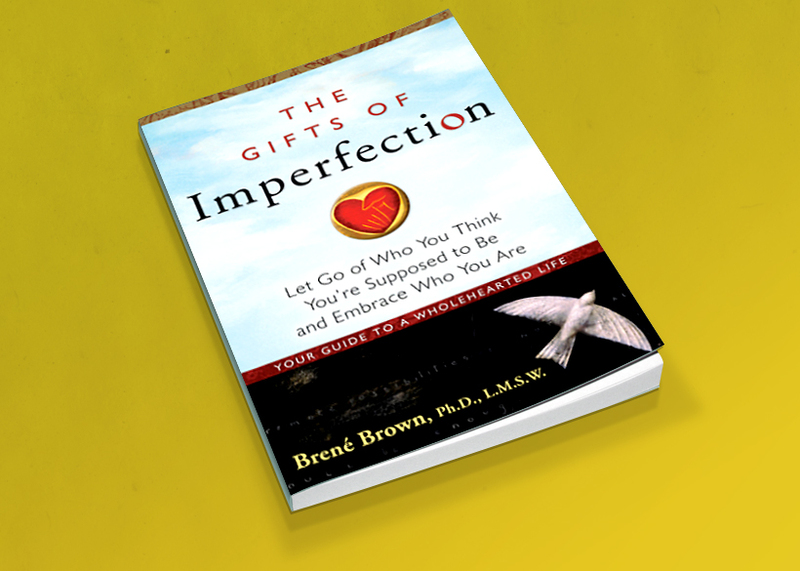 To sum up: I liked The Gifts of Imperfection a lot. It didn’t change my life drastically, but I can see how it would for some. And I’d like to read ALL of Brené.